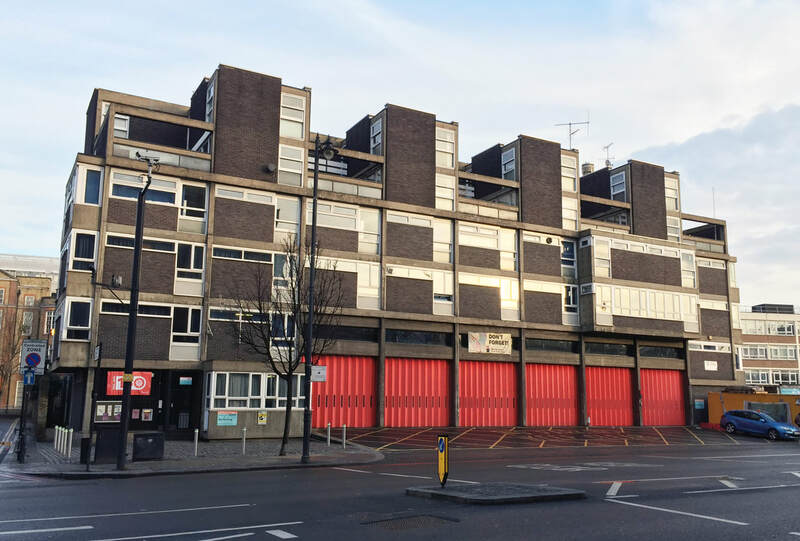 Notes: Brutalist style fire station on Old Street. Features cantilevered windows, exposed concrete frame and a shutterboarded concrete finish. Designed by the Special Works department of the LCC architects department, led by G. Horsfall.